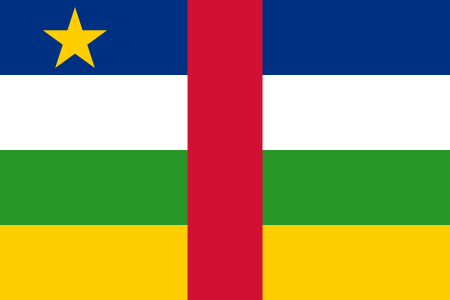 On Monday February 1, 2016, Pr Laurent Cleenenewerck (IFC, EUCLID) interviewed Ambassador Charles Armel Doubane (CAD)) of the Central African Republic, who answered the questions from Bangui. This page presents a summarized, translated and finalized transcript of the interview. IFC: Excellency, thank you for joining us from Bangui on the occasion of this UN World Interfaith Harmony Week. What can you share with us about interfaith relations in the Central African Republic? CAD: Our country has gone through very difficult times recently, as is well known. It has revealed to the people of the Central African Republic that the harmony they took for granted, and the solidity of the state, were in fact fragile. However, something remarkable has happened because in the middle of this violence, three figures have emerged: Archbishop Dieudonné Nzapalainga of Bangui, Imam Oumar Kobine Layama and Pastor Nicolas Guérékoyaméné-Gbangou became leaders of the movement to overcome the cycle of violence. Indeed, the Imam was even protected and sheltered by the Catholic bishop. It will take some time to rebuild the country and overcome this tragic phase in our country. It is lesson for the entire world. Yes there is hope because so many families are united and intertwined across religious ties. As for me, being a Catholic Christian but coming from the underlying animistic culture of our country, I have an adoptive daughter who is a Muslim. IFC: Thank you your very much for your time and for joining us from Bangui.